Secretary of State Hillary Rodham Clinton on Friday urged North Korea to grant amnesty to two American reporters sentenced to 12 years of hard labor last month for illegally entering North Korea. 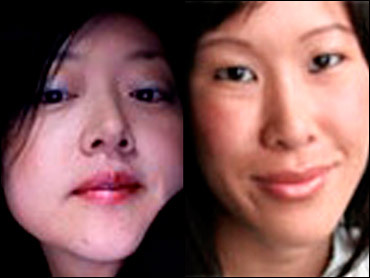 Clinton said the reporters have expressed "great remorse for this incident" and called on the North to allow Laura Ling and Euna Lee to quickly return home to their families. "Everyone is very sorry that it happened," Clinton said. The request for amnesty is a shift from previous U.S. calls for the women to be released on humanitarian grounds. It follows comments from Ling's family that Ling had acknowledged breaking North Korean law during a recent phone call. Ling also reportedly told her family that she and Lee need the U.S. government's help. The women were working for U.S.-based Current TV. The North said they documented their journey into North Korea, even pocketing a stone to commemorate the illicit trip across the frozen Tumen River from China. "This is a regrettable incident," State Department spokesman P.J. Crowley told reporters later Friday. "North Korea announced that these two journalists had been convicted, legal process. Accepting that, we simply have called for their release, and we hope that happens as soon as possible," he said.